Some results of the inverse kinematics calculation module can be recorded by graph objects. Refer to graphs and graph data stream types for more information about how to record inverse kinematics calculation data. 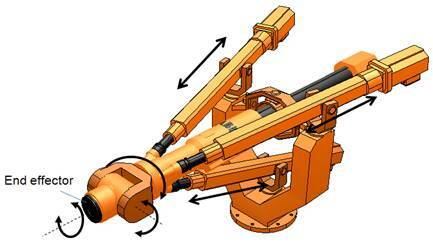 The kinematics functionality is also available for external applications (i.e. applications not directly part of the V-REP framework, like applications on a different computer, on a robot, or controller). This is made possible via the external kinematics functions. Finally, make sure to have a look at the various simple example scenes related to IK and FK in folder scenes/ik_fk_simple_examples.